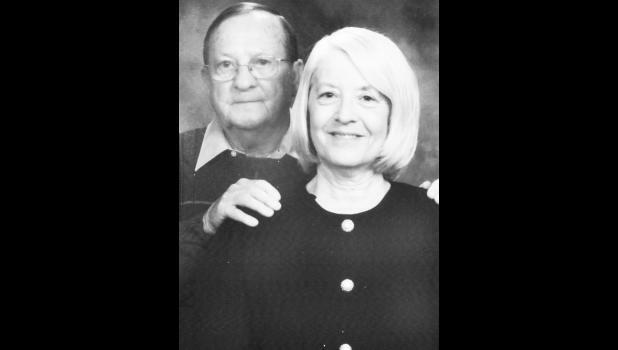 Bob and Pat Lee of Topeka will celebrate their 50th wedding anniversary with a reception hosted by their sons from 2 p.m. to 4 p.m. on Sunday, Dec. 3, at Meriden United Methodist Church, 100 S. Dawson St., Meriden. The couple was married on Dec. 30, 1967, at First United Methodist Church in Topeka. They have two sons, Devin Lee and his wife, Suzan, of Shawnee, and Daren Lee and his wife, Kandi, of Burlingame; and five grandchildren, Parker, Tristan, Megan, Brendon and Jaydon. The couple requests no gifts. Cards may be sent to them at 14930 94th Rd., Topeka, KS 66618.